A tribute to Our Lady! 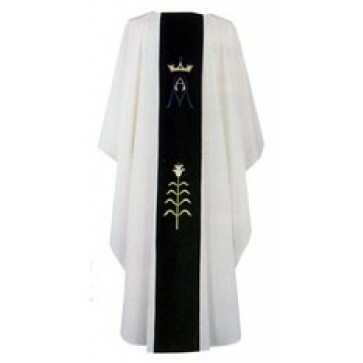 This lovely Marian Chasuble has multi colored embroidery on a 6" panel of blue velvet. Vestment measures 60" wide x 52" long. Matching lined under stole is included.